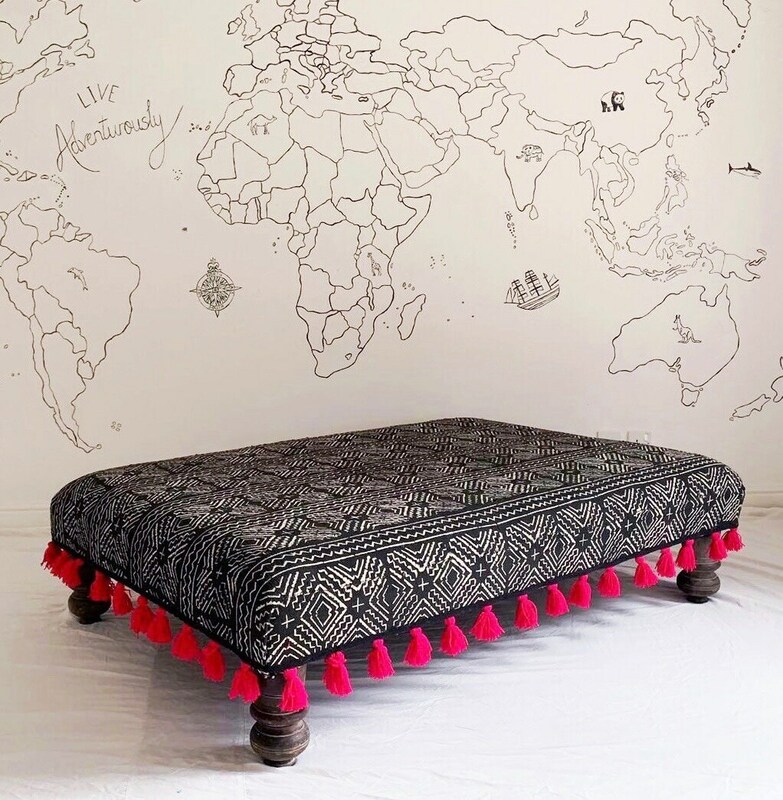 Very cool and unique large footstool/ottoman. 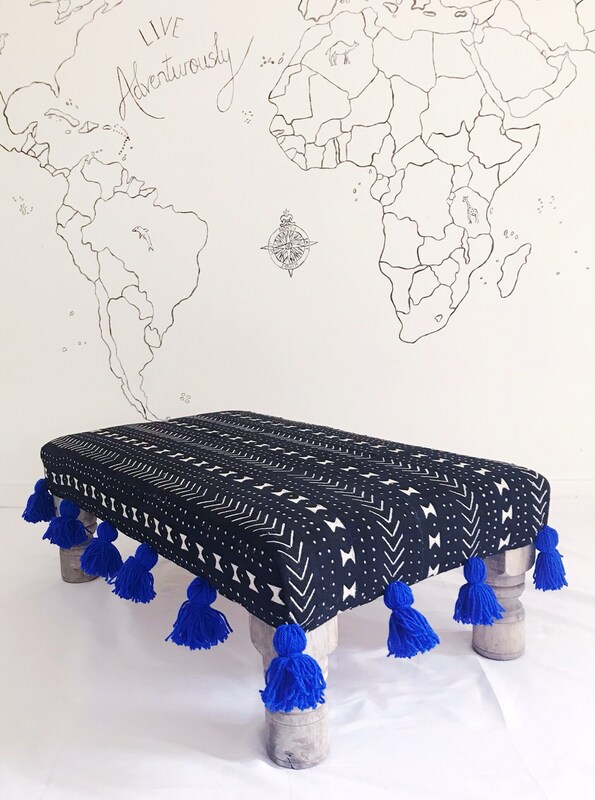 All ottomans are custom made to any size. 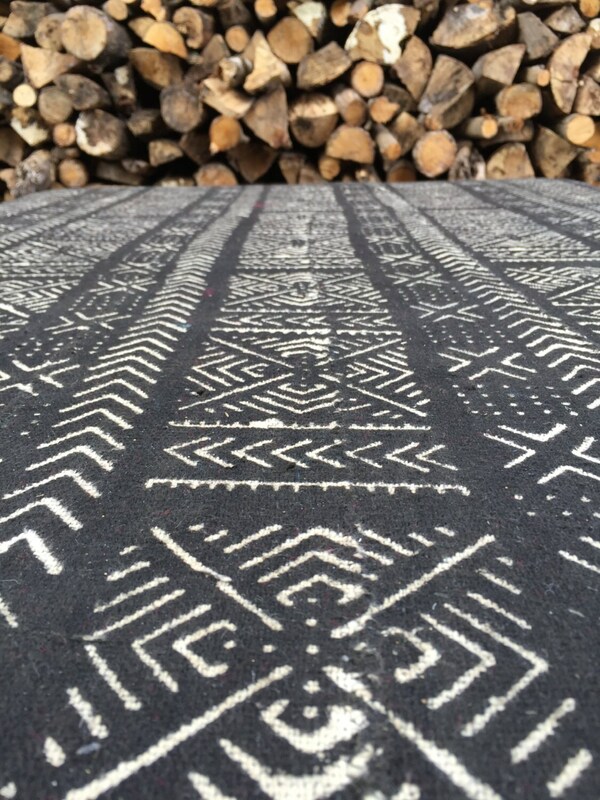 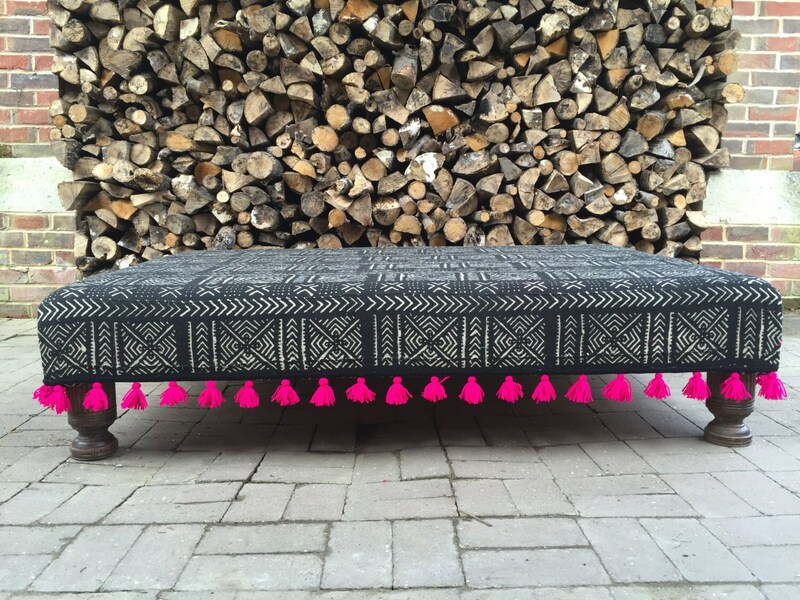 I can source the mud cloth in a variety of patterns so please get in touch to discuss your requirements. 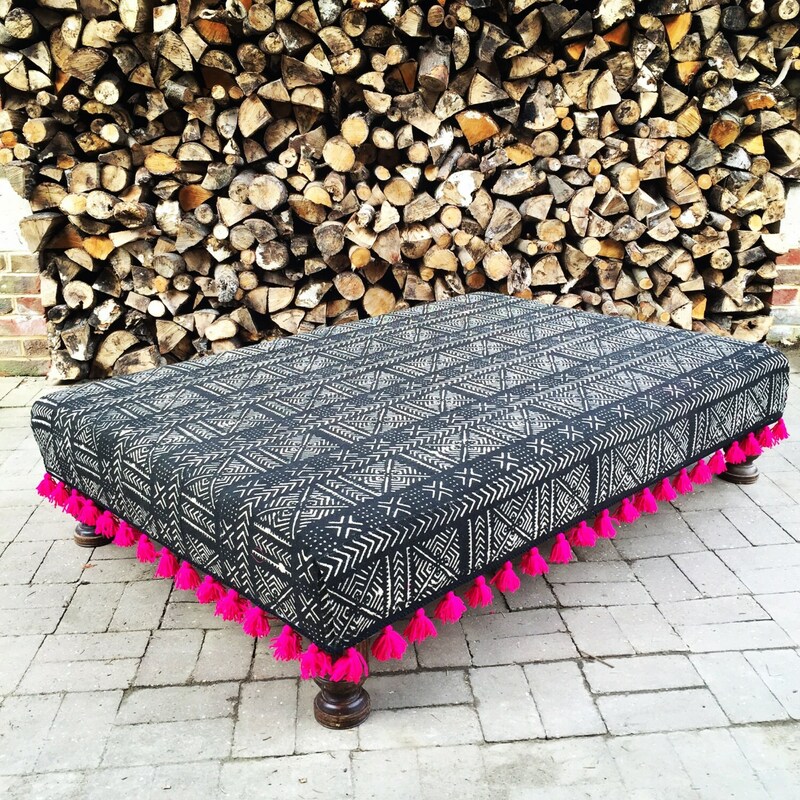 The footstools are finished with your choice of colour hand made tassel trim. 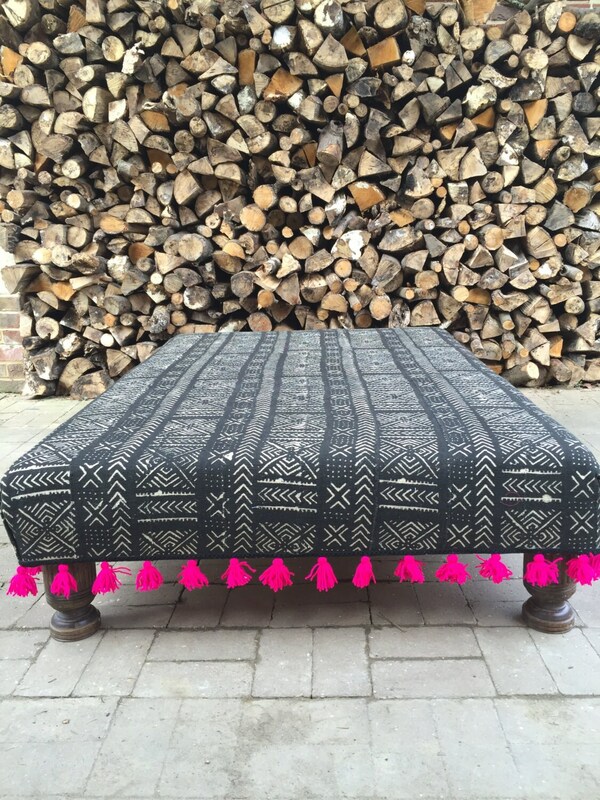 I also have a variety of reclaimed vintage footstool feet to choose from. 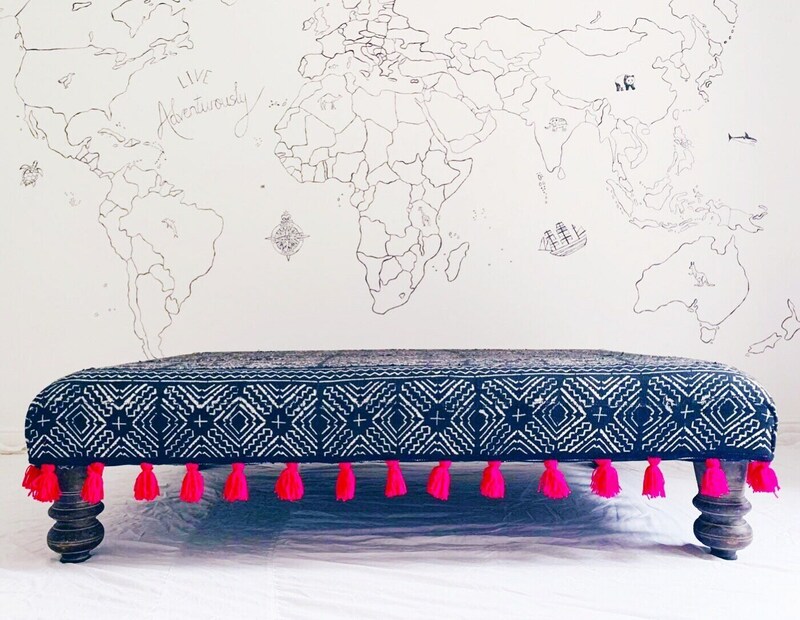 The examples in the picture are upholstered using Mali Mud Cloth purchased in the souks of Marrakech. 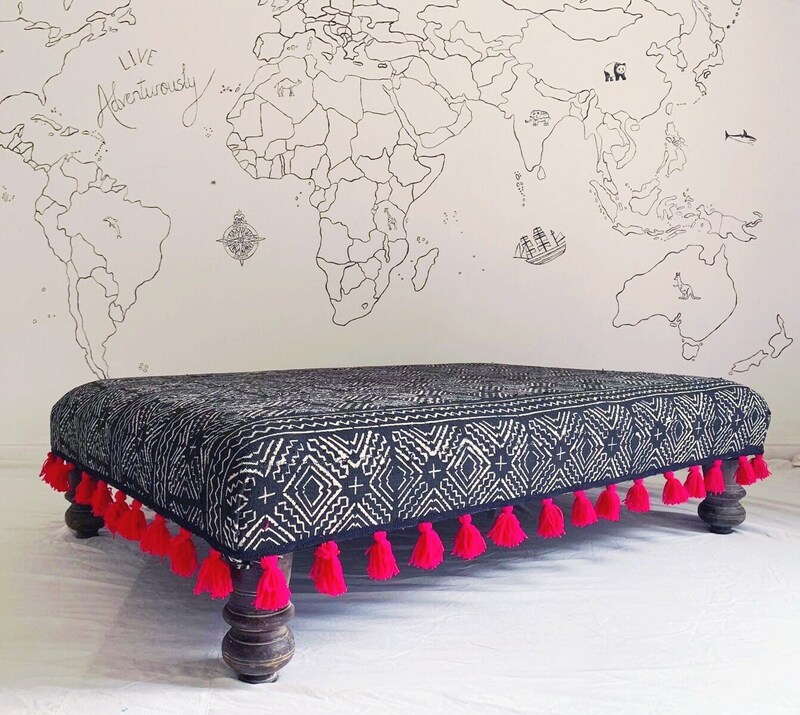 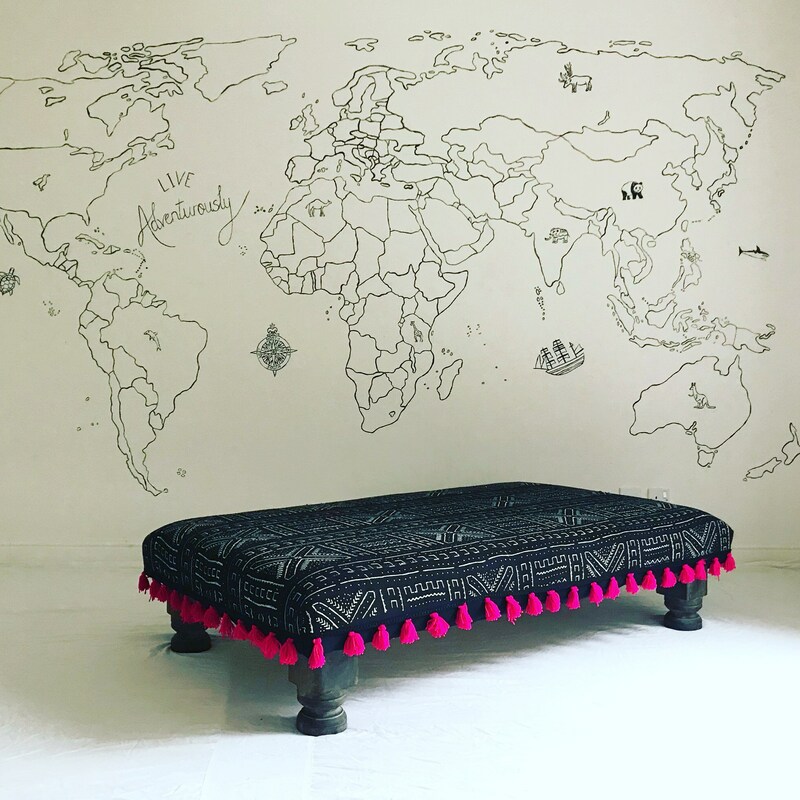 The footstool feet are reclaimed from a Victorian dining table and the footstool has been finished with handmade wool pink tassels. 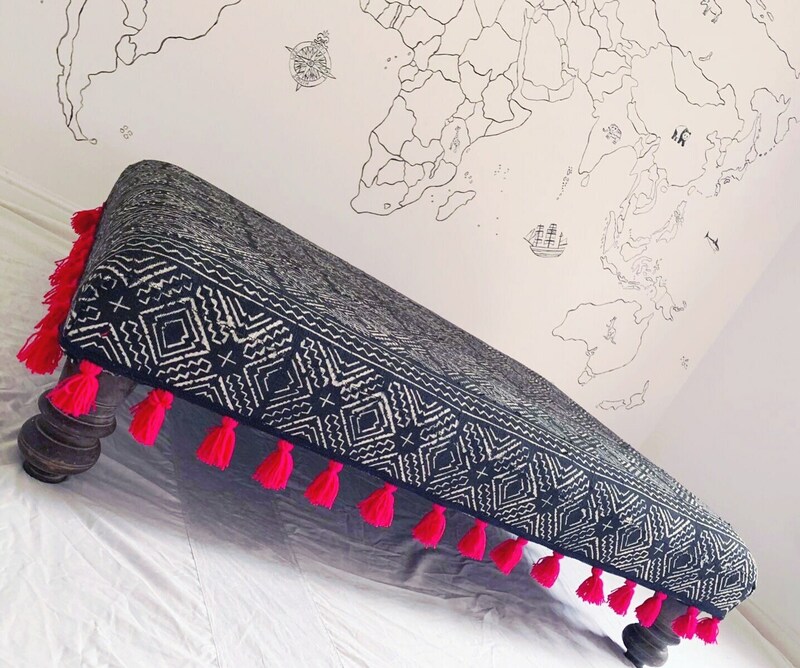 The item is a perfect centrepiece for a living room, it has firm upholstery so it can also be used as a tray table.